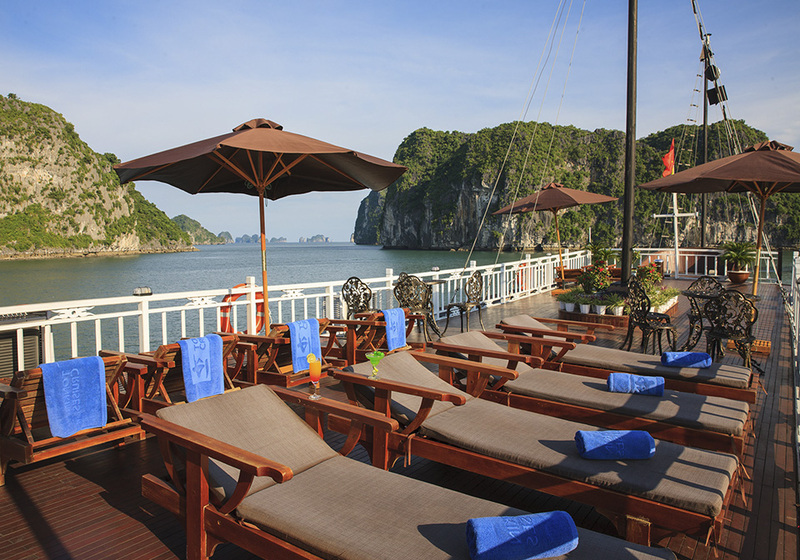 Garden Bay Cruise offers genuinely life-enriching, unique and authentic Halong cruises. 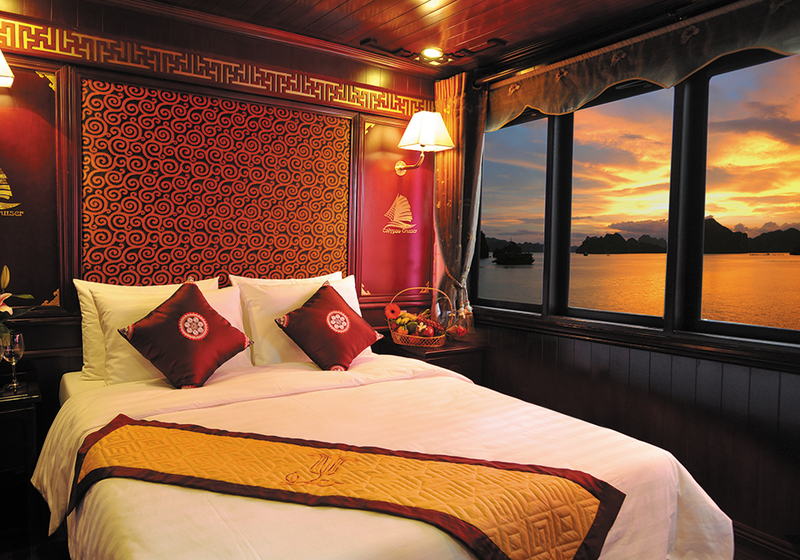 We combine the comfort of warm ancient wooden boat ambiance with modern consolation, the convivial attentive service with the exclusive personal value-added experience, the authentic touch of every Halong attractions and life with its majestic unique nature. 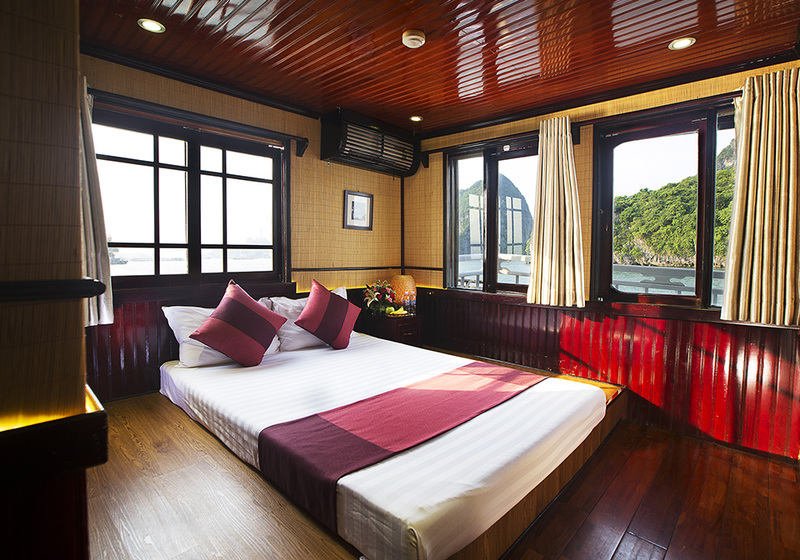 And above all, the standard of a preferred and trustable cruise provider to thousands of Halong visitors has it proved. 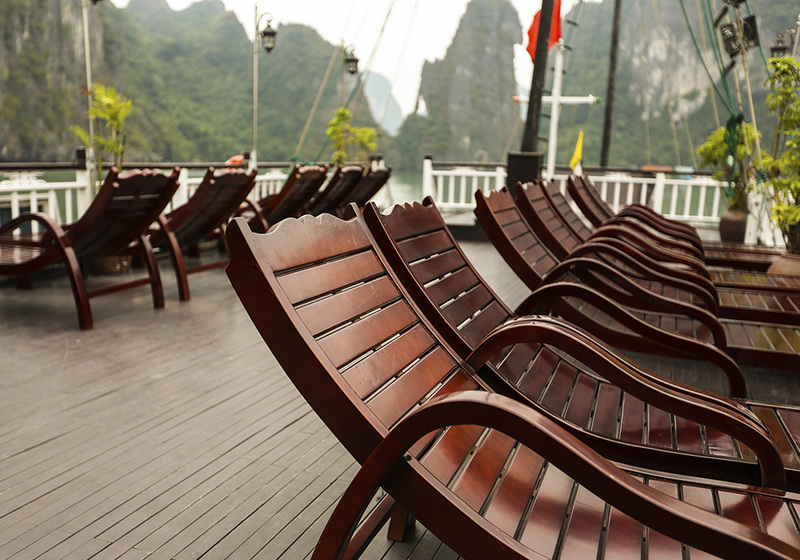 Garden Bay Halong cruise – genuinely yours. 07:15: Pick up at the hotel for three and a half hours road trip with short refreshment on half way to Halong Bay. 12:00: Arrive at Hon Gai Harbour, enter our waiting lounge for a short break before getting on a boat. 16:30: Drop-off at the hotel in Hanoi. 12:00: Having lunch set with seafood and grills. 11:45: Transfer by tender to the pier, relax inside our waiting lounge and waiting for return transportation. . The Dining Room is located on the Upper Deck and is surrounded by panoramic windows providing beautiful views of the bay wonder. Dining room accommodates up to 22 guests serving set menu course meals and buffet.